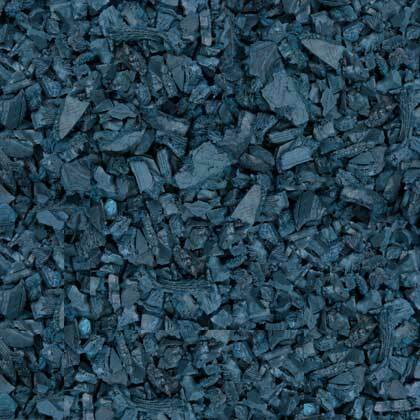 A southern Dallas County community was full of activity last Sunday, as the final efforts of volunteers laying down rubber mulch were completed. 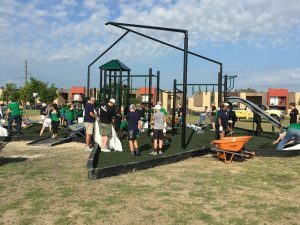 Recently, GroundSmart™ Rubber Mulch was part of a community project in a joint effort with the Dallas Stars Foundation and Child’s Play, Inc. to build a brand-new playground for the Youth World Foundation. The Youth World Foundation organizes several community outreach programs and events year-round benefitting at-risk youth and their families. Their mission: Impact high crime, low-income environment through education, music, and life-skills programs. Helping make children’s hope for the future obtainable. 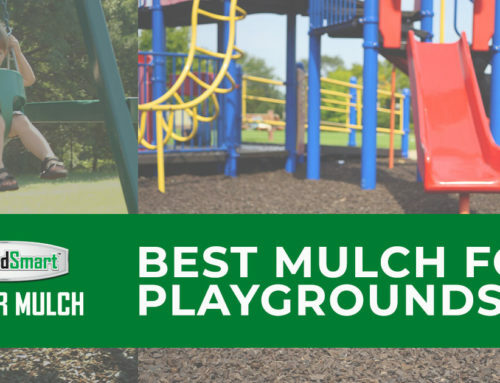 Earlier this year, 12 tons of GroundSmart™ rubber mulch was donated to the project, building a safer play area for the organization and the kids who participate in the various programs. Youth World’s free six-week summer camp feeds over 12,000 lunches to over 400 children each summer. Unfortunately, right before the Summer Youth Camp was set to begin, arsonists set fire to the playground causing thousands of dollars in damage. 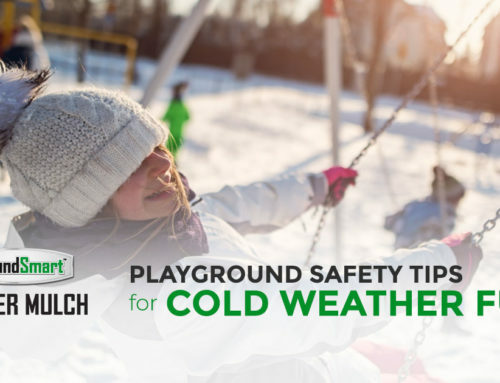 “I got a call saying, ‘Hey, your playground is on fire.’ And my heart just sank knowing… I was so grieved and saddened knowing that all these kids are going to come and they’ll find their playground destroyed,” said Dana Shirley, a director for Youth World. The organization spoke to news outlets and posted on social media asking for help to rebuild. 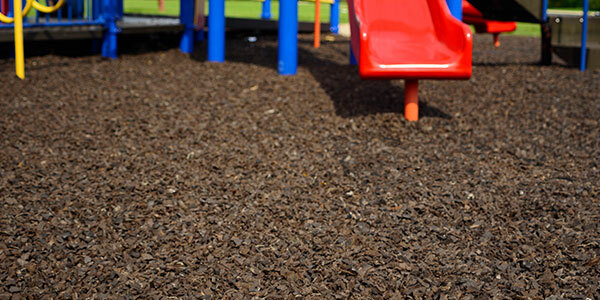 Fortunately, many of the sponsors of the original project, including LTR Products—the makers of GroundSmart™, were happy to lend a hand—donating time, money, and building materials to recreate the play area. 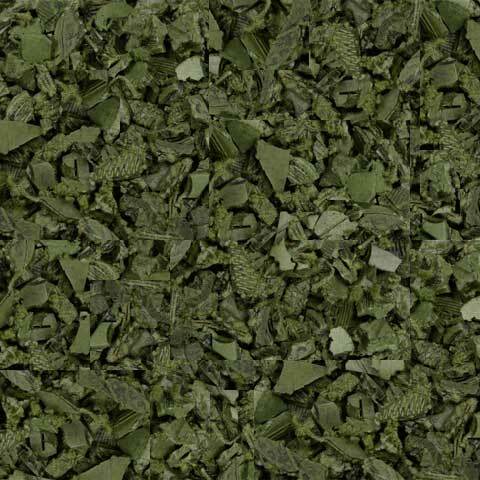 As the safest playground surface, a six-inch layer of GroundSmart™ Rubber Mulch will cushion a child’s fall from as high as 16 feet, providing up to 50 percent more fall-height protection than wood mulch and other surfacing materials. 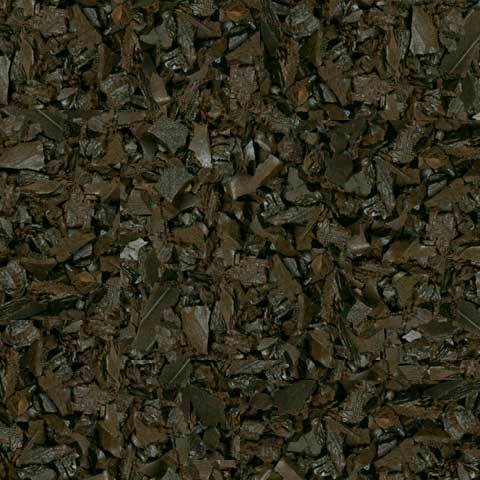 The long-lasting qualities of our mulch will provide a safe surface for the children to play for many years to come. 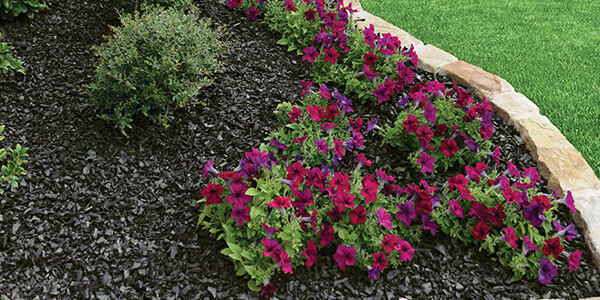 Learn more about GroundSmart™ Rubber Mulch products here. SEE THE VOLUNTEERS IN ACTION!